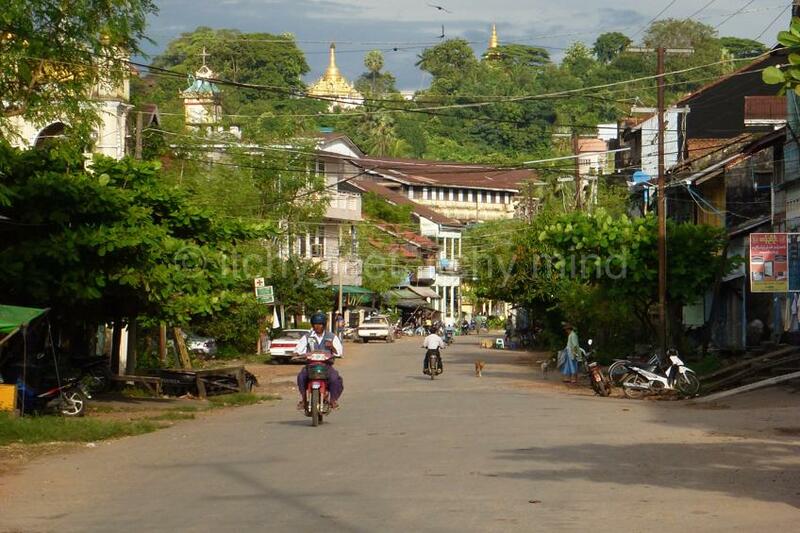 This is Burma, and it will be quite unlike any land you know about. Rudyard Kipling (1865-1936) spent just three days in Burma (Myanmar), and yet this brief visit had a profound effect on him. 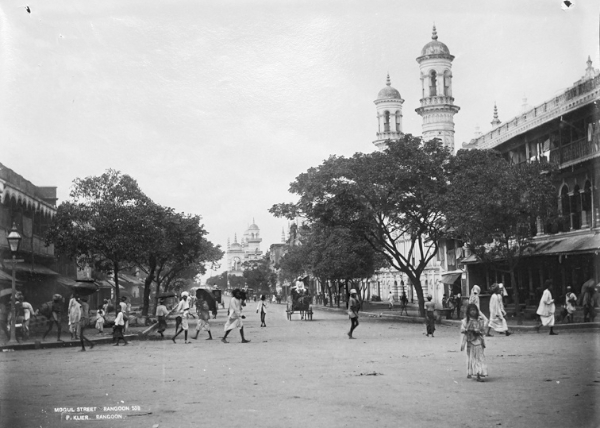 The British writer – who was 23 years old at the time – stopped in Rangoon (Yangon) in March 1889, as part of a sea voyage from Calcutta to San Francisco. Kipling wrote about his travels in series of letters to The Pioneer newspaper in India, which were gathered together ten years later as From Sea to Sea, Letters of Travel. (A later imprint of this book can be downloaded for free from Project Gutenberg). 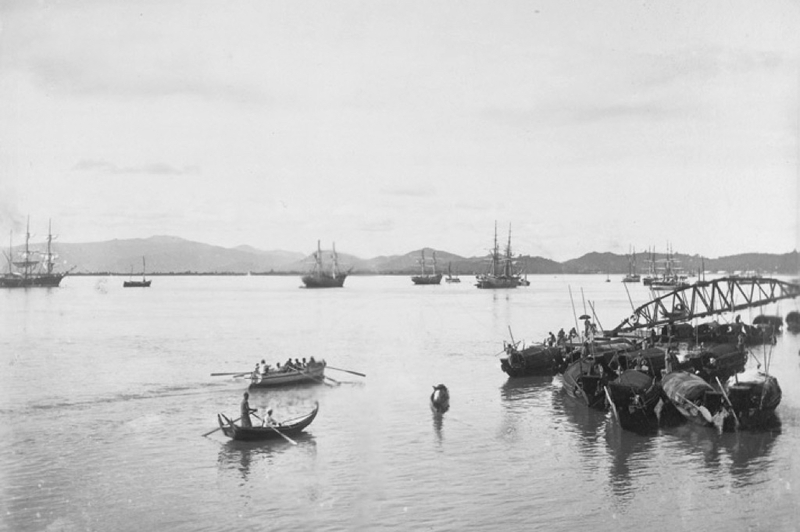 Kipling’s visit came the aftermath of the Third Anglo-Burmese War (1885), which resulted in the British annexation of Upper Burma, and the exile of Theebaw (Thibaw), the last monarch of the Burmese Kingdom of Ava. 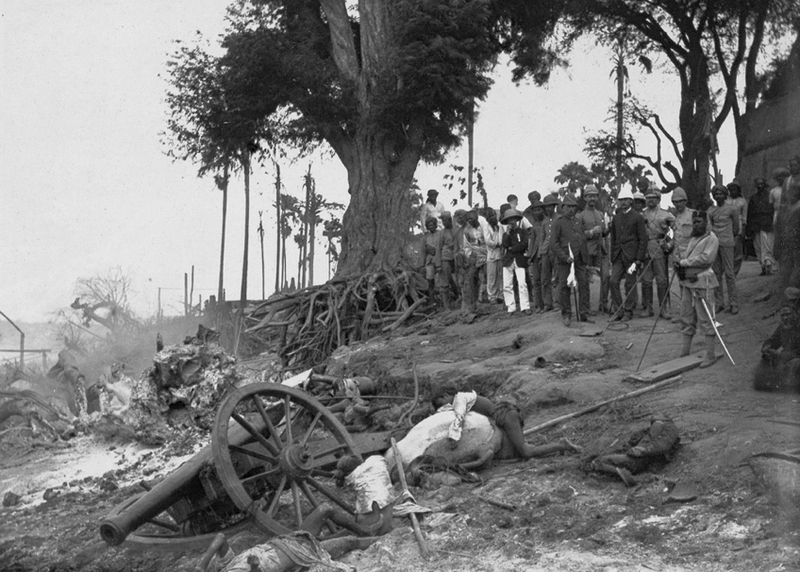 Even though the war was officially over, armed resistance to British rule was still claiming lives on both sides. Then, a golden mystery upheaved itself on the horizon – a beautiful winking wonder that blazed in the sun, of a shape that was neither Muslim dome nor Hindu temple spire. 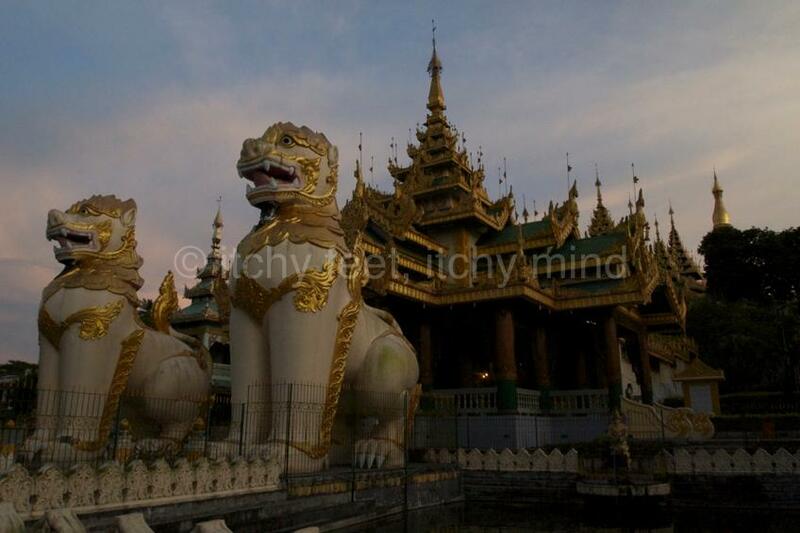 As it stood overlooking everything it seemed to explain all about Burma. The meaning of the guardian tigers, the inwardness of the main pagoda, and the countless little ones, was hidden from me. I could not understand why the pretty girls with cheroots sold little sticks and coloured candles to be used before the image of Buddha. Everything was incomprehensible to me, and there was none to explain. The strange part of it all was that every one laughed – laughed, so it seemed, at the sky above them because it was blue, at the sun because it was sinking, and at each other because they had nothing better to do. Now, if a bountiful Providence had put you in a pleasant damp country where rice grew of itself and fish came up to be caught, putrified and pickled, would you work? Would you not rather take a cheroot and loaf about the streets seeing what was to be seen? If two-thirds of your girls were grinning, good-humoured little maidens and the remainder positively pretty, would you not spend your time in making love? Kipling was not the first Western man, nor we suspect the last, to find Burmese women aesthetically pleasing. The German photographer, Philip Adolphe Klier, who was living in Rangoon at the time of Kipling’s visit, had a ready market for his portraits of the local beauties. 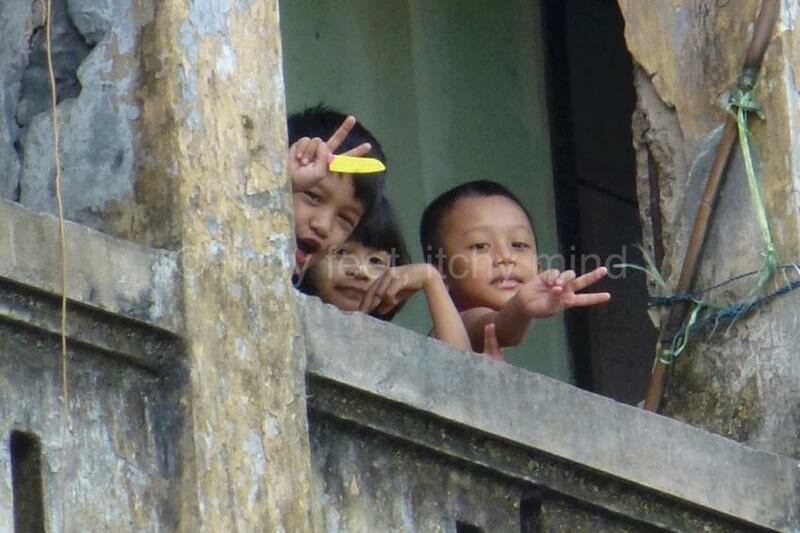 For more on his work, see Burmese Days: the extraordinary photos of Philip Adolphe Klier. I went out into the steamy night, my head ringing with stories of battle, murder, and sudden death. I had reached the fringe of the veil that hides Upper Burma, and I would have given much to have gone up the river and seen a score of old friends, now jungle-worn men of war. 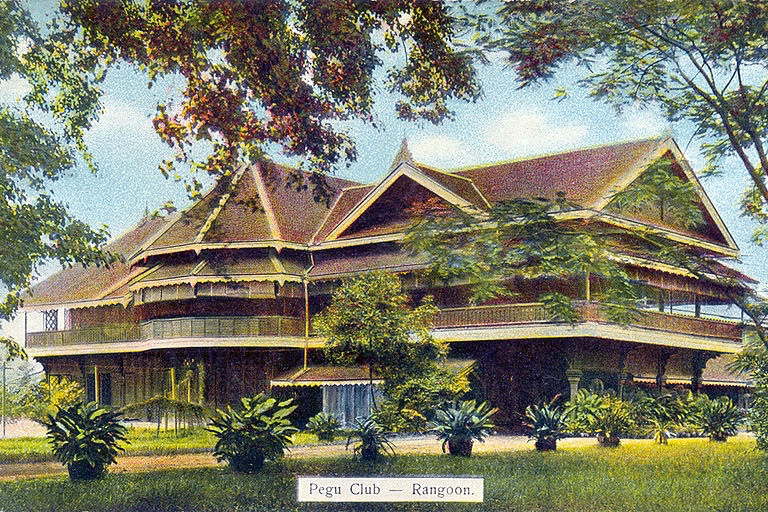 The Pegu Club is still standing (as of February 2015), but is in a sorry state. It has not served up its signature cocktail (see the recipe here) since the early sixties, when it was nationalised, and turned into an officers’ mess. 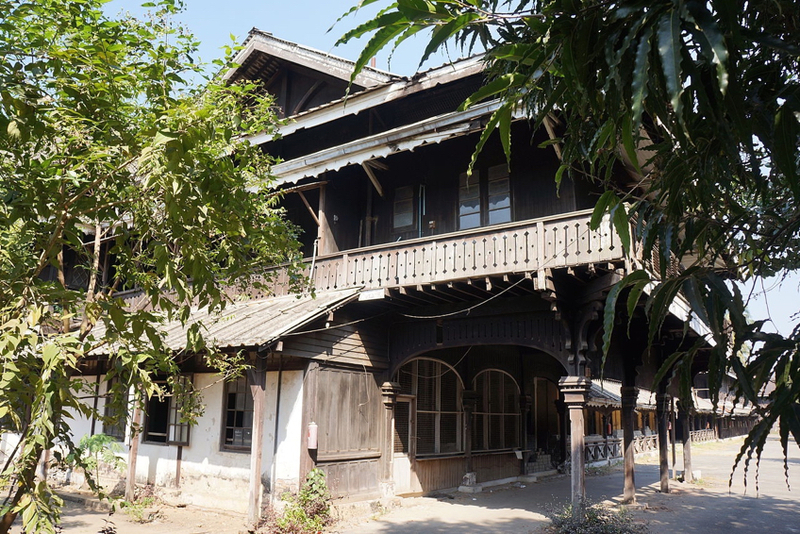 We sincerely hope this historic building will be restored to its former glory, and that travellers will once again be able to sip a Pegu Club cocktail at its spiritual home. As the steamer came up the river we were aware of first one elephant and then another hard at work in timber-yards that faced the shore. A few narrow-minded folk with binoculars said that there were mahouts upon their backs, but this was never clearly proven. I prefer to believe in what I saw – a sleepy town, just one house thick, scattered along a lovely stream and inhabited by slow, solemn elephants, building stockades for their own diversion. Sadly, the elephants have long since gone, much like the teak forests which used to provide them with their employment. 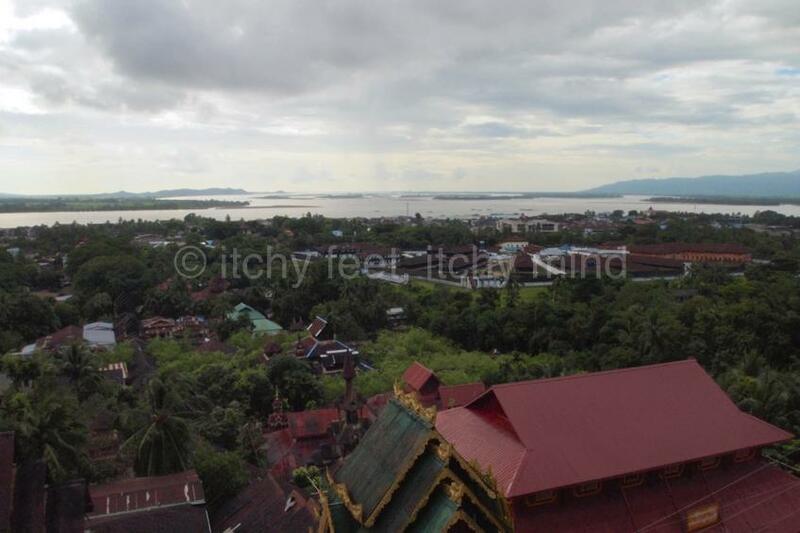 Apart from that however, Moulmein has changed little from the sleepy town Kipling visited all those years ago. It is a thoroughly charming place, so laid-back it is practically horizontal. 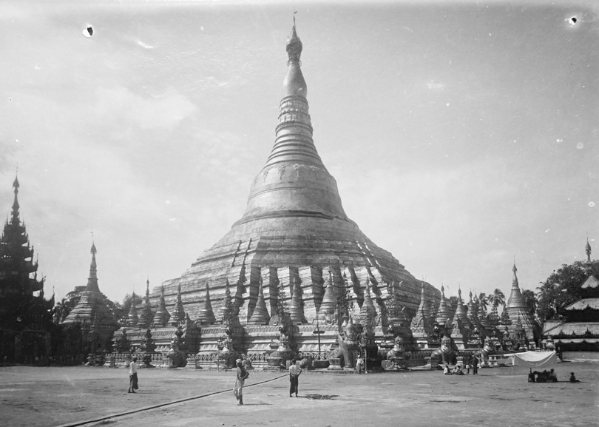 Kipling and his fellow passengers spotted “a large white pagoda, surrounded by scores of little pagodas”. 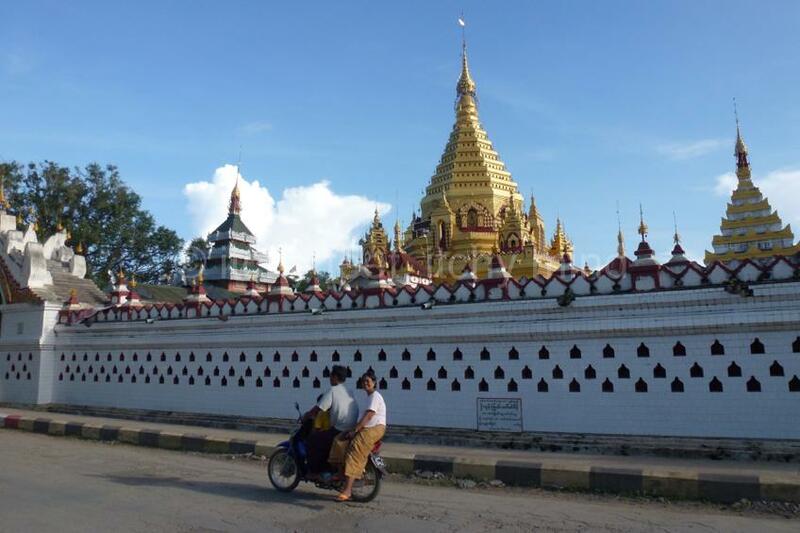 The large pagoda which he refers to is called Kyaik-Tha-lun, and still dominates views from Moulmein harbour today. 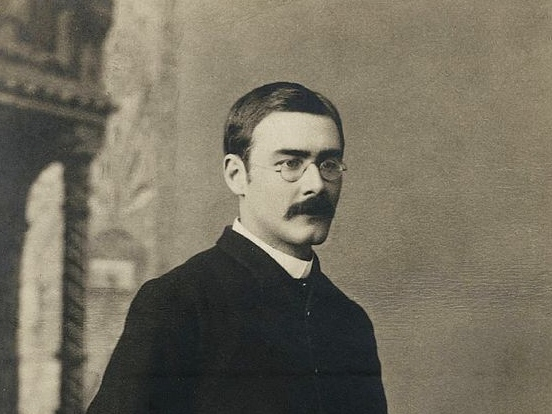 The poem, which was written in 1890, and first published two years later, sums up the bitter-sweet longing many British men – including Kipling – felt for Asia, on their return to their cold, damp, grey homeland. 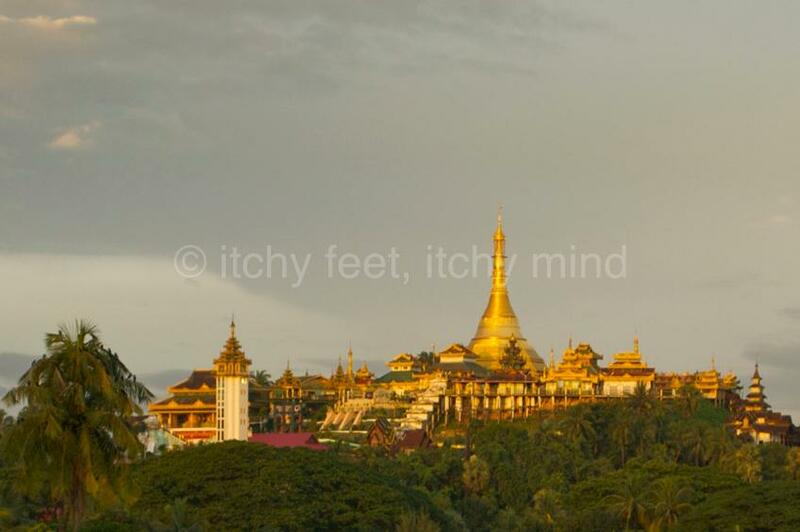 I should better remember what that pagoda was like had I not fallen deeply and irrevocably in love with a Burmese girl at the foot of the first flight of steps. 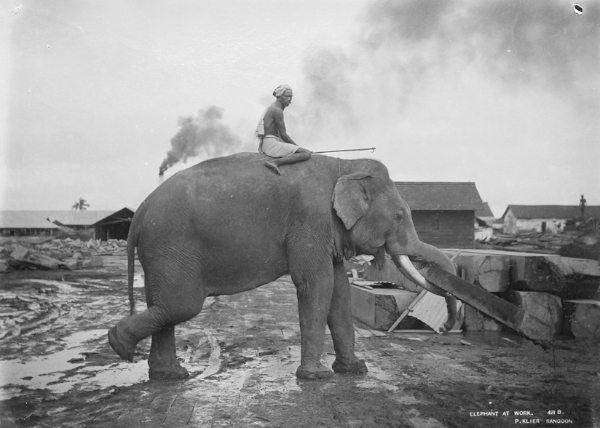 Only the fact of the steamer starting next noon prevented me from staying at Moulmein forever and owning a pair of elephants. When I die I will be a Burman, with twenty yards of real King’s silk, that has been made in Mandalay, about my body, and a succession of cigarettes between my lips. I will wave the cigarette to emphasise my conversation, which shall be full of jest and repartee, and I will always walk about with a pretty almond-coloured girl who shall laugh and jest too, as a young maiden ought. If you enjoyed this piece, you may well like The Great Farini, Lulu Farini and the Lost City of the Kalahari, Cecil Beaton in wartime China, and Introducing Malaya and Borneo (1948-1950).